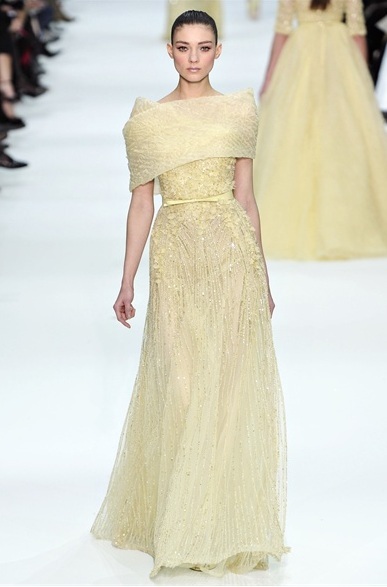 Anyone who knows me is well aware that Elie Saab is one of my favorite designers. I cannot stress enough that each of his designs are incredible and unique. When his Spring/Summer '12 collection was recently showcased in Paris, I was stunned. I was still recovering from his last couture collection when he launched another set which is nothing short of a fairytale. The gowns are beyond beautiful, they are beyond anything I've envisioned an almost perfect gown/gowns to be. Apart from using colors in his collection, he revamped the usual white wedding gown (which was his show stopper) and added a hint of baby pink. Here are my favorite gowns and dresses. How gorgeous is the yellow gown on the left? 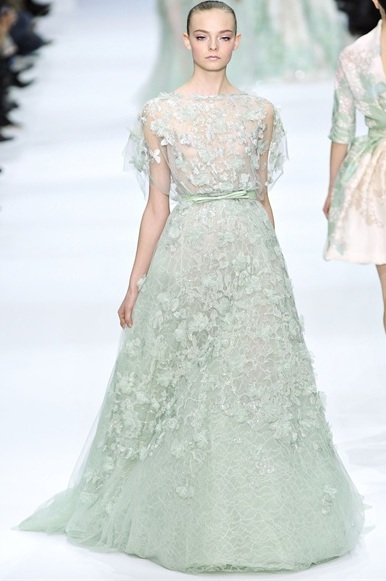 Never thought the color green would make a gown come alive. Just beautiful. 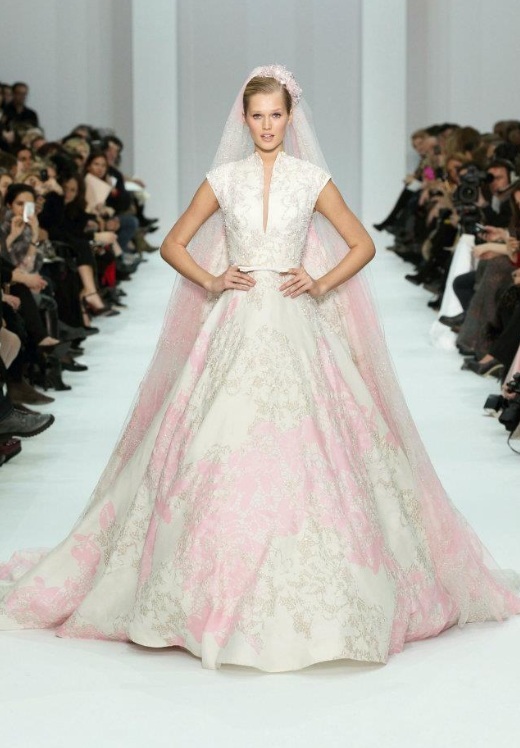 And here's the show stopper; the bridal gown with hints of pink.